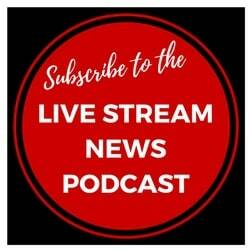 If you are using live video as part of your communications plan, you may have considered using YouTube live. 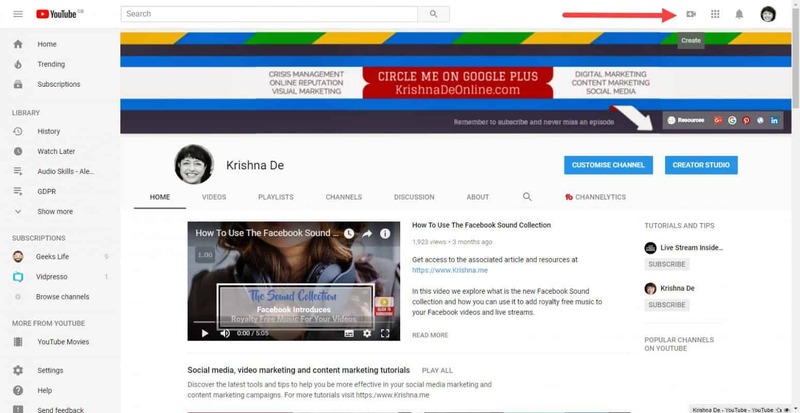 In recent months it has become possible to live stream with your mobile using the YouTube app, but YouTube is a little more complext from your desktop – until now. 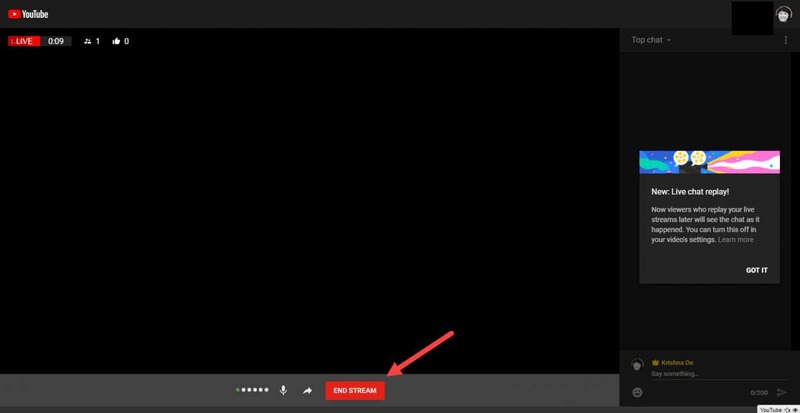 As announced this week, you can now go to youtube.com/webcam OR click on “Go live” in the YouTube header to start your stream – you need to be working with the Chrome browser for this to work. 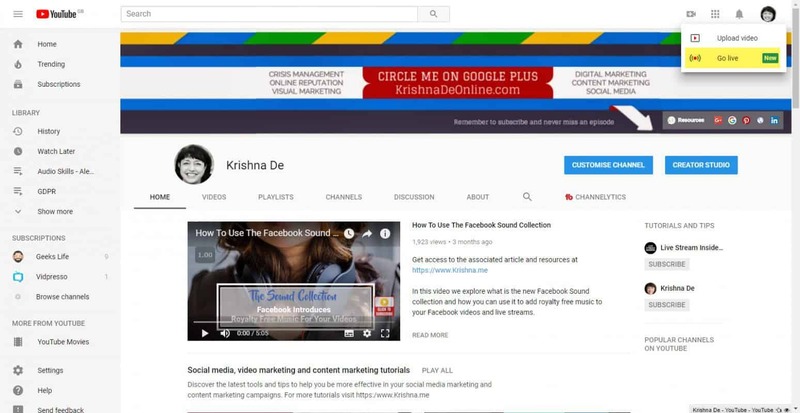 Below I take you through step by step how to use this new feature. 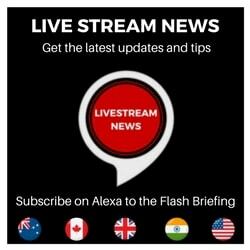 YouTube also announced that they want to make streaming from your phone just as easy too and that in forthcoming months, you’ll be able to start a live stream directly from the camera app in select devices from using the new YouTube Mobile Live deep link. 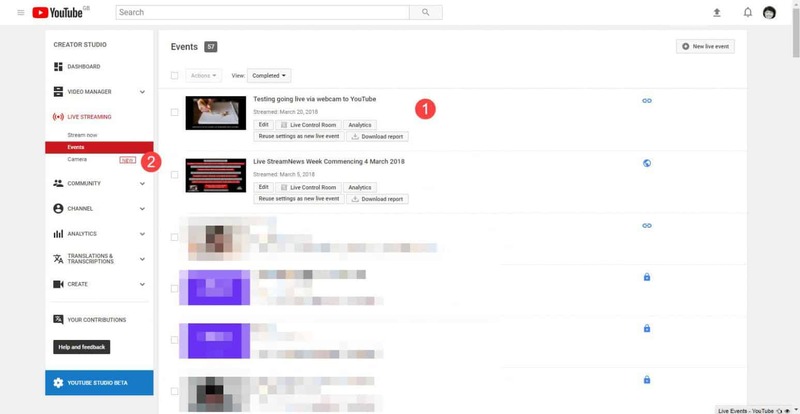 When you go to your YouTube channel you will see a small icon for a camera at the top of the page. 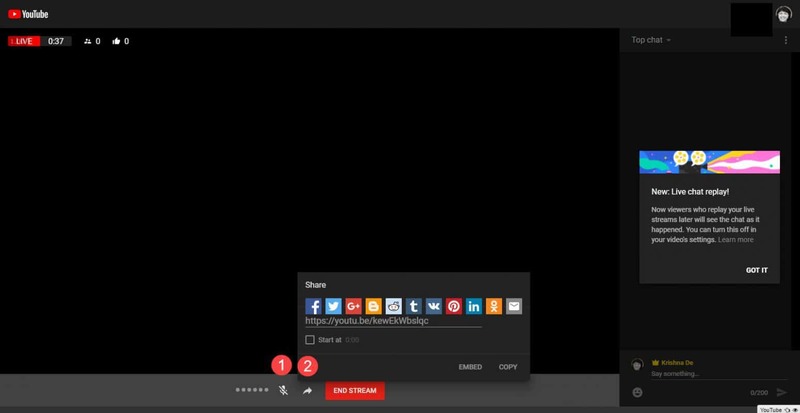 Clicking on that provides the option to upload a video or Go Live. 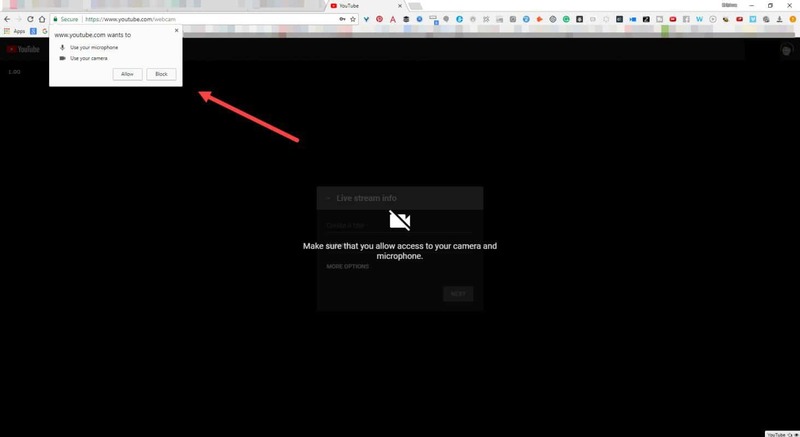 If you are used to using Chrome with your camera and mic, you will be familiar with the popup that appears requesting access to your devices. 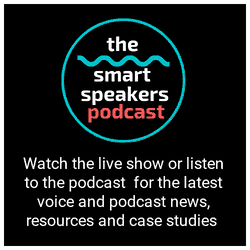 Click to allow access. 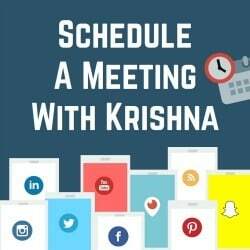 2 – decide if you want the live stream to be public or unlisted. You also have access to more options which I cover below. 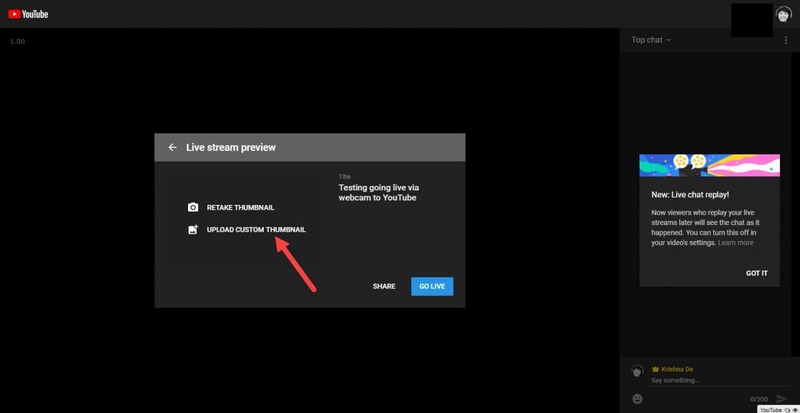 Live streaming pro tip: I recommend practicing using the new feature initallyin an unlisted live stream on YouTube so that you do not notify your subscribers until you are confident you understand the new feature. 6 – you can access advanced settings. 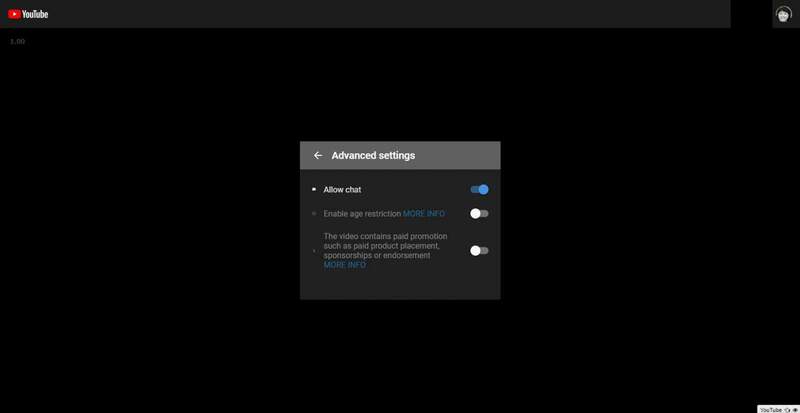 When you click on ‘advanced settings’ you then get access to more features including the option to allow or turn off the chat for your live stream, enable age restrictions for your live stream and indicate if the video includes paid promotions. 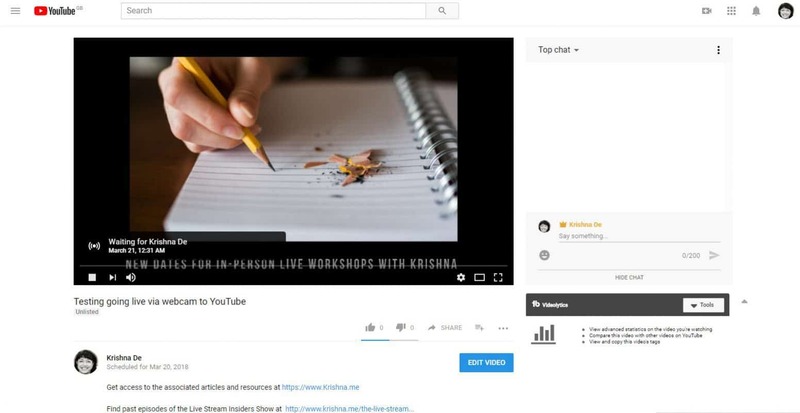 YouTube Live stream pro tip: if you are a YouTuber or online influencer publishing your live stream in conjunction with a paid sponsorship, make sure you familiarise yourself with YouTube terms and conditions including their Community Guidelines as well as applicable government laws and regulations and requirements for disclosures by your relevant advertising standards body. 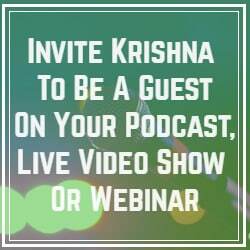 You will get the opportunity to capture a thumbnail for your live stream which is taken by your camera. 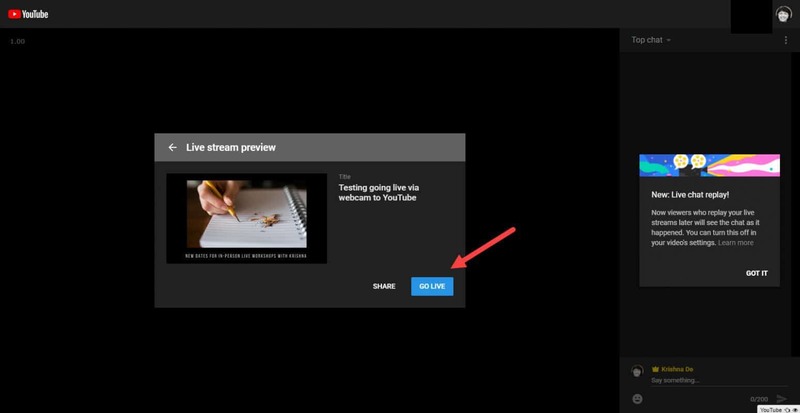 You may prefer to upload a custom thumbnail for your YouTube live stream. 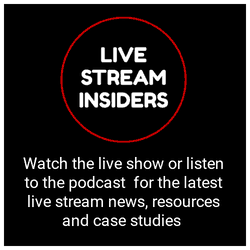 On the right hand side of the page you should see the notification for the live chat replay (we discussed this new feature on the Live Stream Insiders show on 4 March 2018). In the centre of the screen you will see the option to share the live stream. 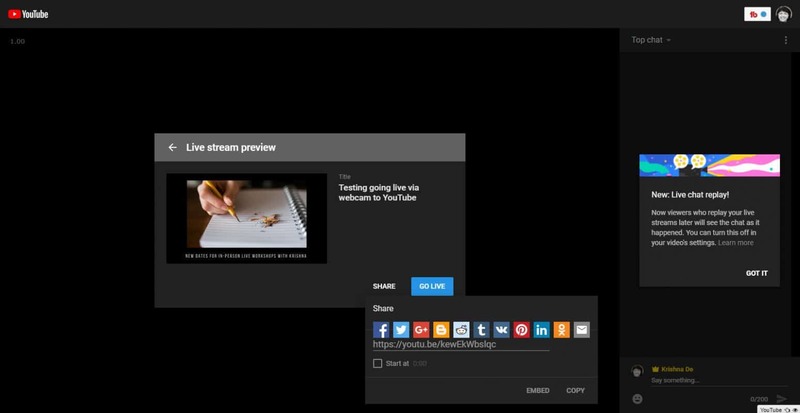 When you click the share button you will get the options to share the live stream to your social networks, access the embed code which you could add to your website or even a landing page, and you also get the option to copy the link to the YouTube live stream which you could, for example, share with your newsletter subscribers. 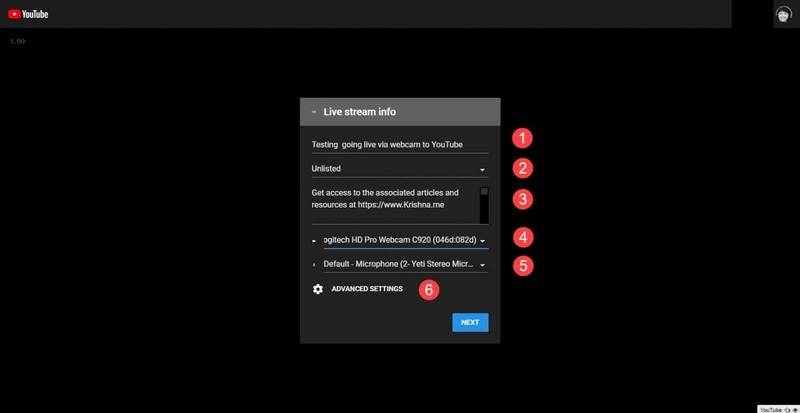 You can use that same link to check your live stream and you should see your thumbnail and the chat area waiting for you to start the live stream on YouTube. Once you are ready you can click the button to ‘Go Live’. 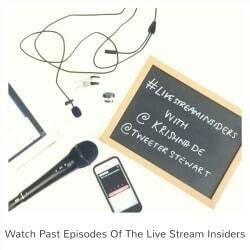 5 – comments from people watching the live stream where you can also respond. 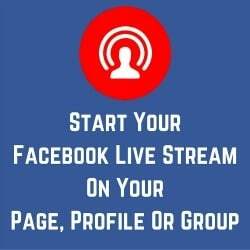 2 – access the option to share your live stream to your social networks or by sharing the link for the live video – you can choose the time point for when you want to encourage people to watch from. 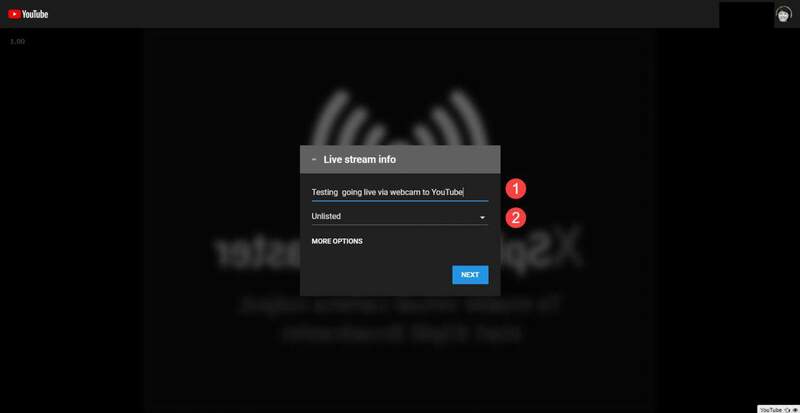 When you are ready to end the YouTube Live click the ‘End Stream’ button. 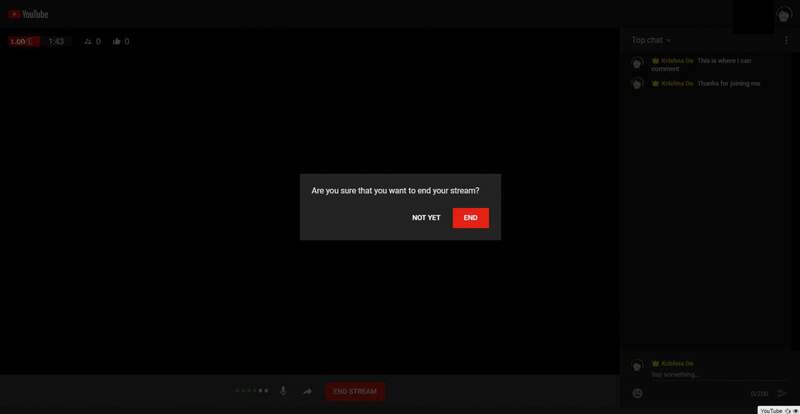 You will receive a prompt to ask you if you are sure you want to end the live stream. 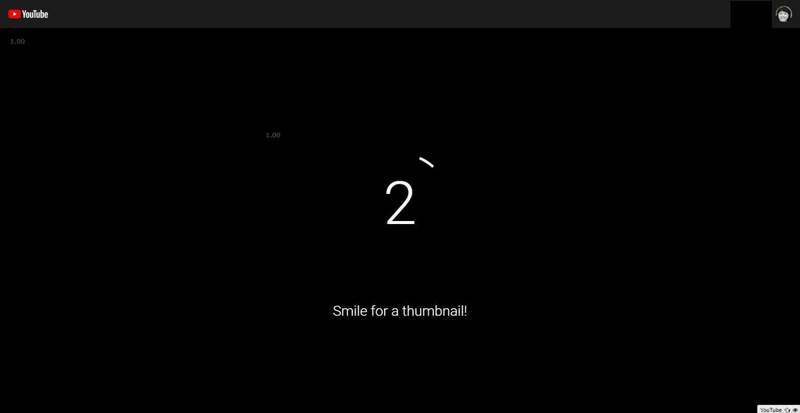 the total watch time for your YouTube Live and the average watch time. 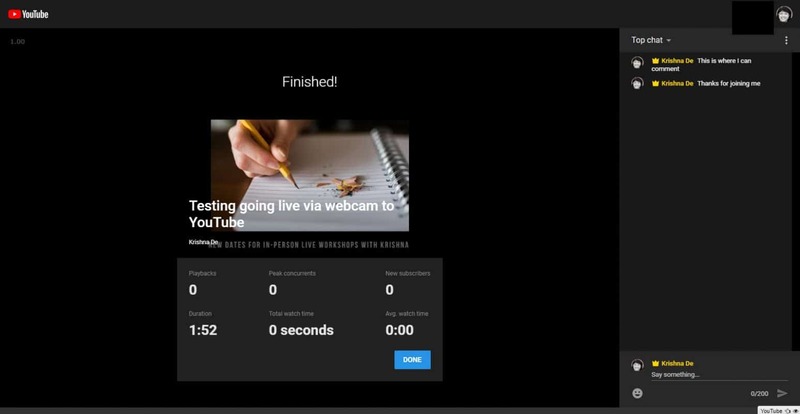 You will be able to review your live stream in the Creator Studio under ‘Events’ where you will also see a quick way to access the live stream from your web camera. 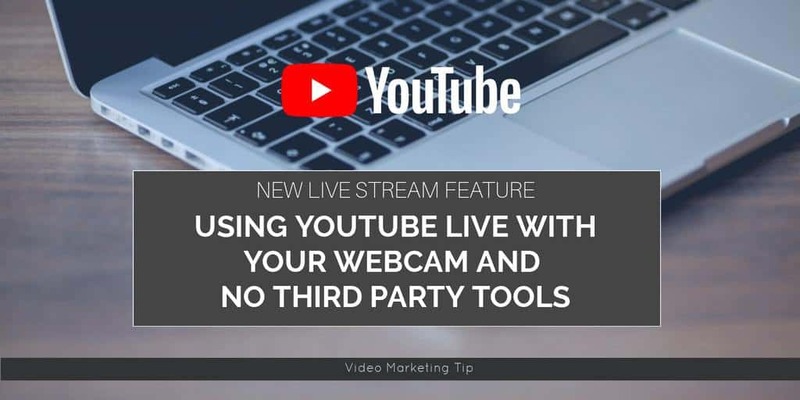 Let me know if you plan to live stream using YouTube live direct from your webcam without needing to use third party encoders. 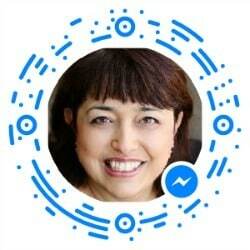 I do hope the feature to screen share will be added as is available for Facebook Live using your web camera. 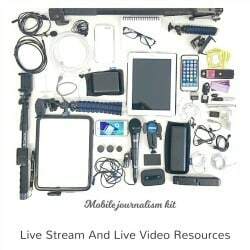 If you have questions about how to integrate live streaming into your communications, you can contact me to schedule a confidential conversation.